Recently a man of God came to me in the same way that Nicodemus came to Jesus at night. I am not Jesus and the subject matter was not about rebirth. The similarity had to do with the fact that wanted to ask me something in private that he did not want to discuss publicly. “How do you feel about your silence?” I asked. “I feel sick” he said. “How sick?” I replied. He did not answer but the pain in his eyes showed his deep turmoil. This is a good man who sincerely wants to do what is right. That is who I am appealing to in this blog. Sincere preachers who honestly do not know how to preach true and urgent messages. By no means am I going to waste time attacking any pastor who has sold out completely to this culture. That would be an entirely different blog. A man or woman of honor will never withhold truth because of personal consequence. Claire Delacroix said, “No man of honor avoided what needed to be done, simply because it might not proceed in his favor.” Honor has become cheap. Honor is not hospitality or flattery. It means courage and loyalty to the truth in the face of great personal cost. Preaching must proceed from the things that are important to God and not the audience. There are issues that are urgent to Him. He must see that you are willing to discern what is important enough to address. How can you expect God to speak to you if He already knows you are going to run His Word through the filter of political correctness? In your silence you are taking other people down with you. Does it ever dawn on a preacher that he is actually damaging his audience when he only says what they want to hear? He is not leading them forward; he is not improving their condition or alerting them to danger. There is still time to save the country. This is the biggest reason to speak out. The ongoing destruction of freedom of speech and of religion has happened because God haters marketed a great lie to the masses. That lie is wearing thin and slowing down the takeover of our freedoms. Now is the time to hold their feet to the fire. We have not yet been driven underground. We are not yet being forced to draw fish symbols in the dirt or huddle in catacombs. Sorry if you don’t think so, but Trump is a merciful reprieve. He is flawed as any leader is flawed but he is standing for issues that matter to you and me…especially the Supreme Court! How can we dare to ignore this opportunity to speak out? The pulpit is responsible is responsible for more of what’s wrong in our culture that we want to admit. 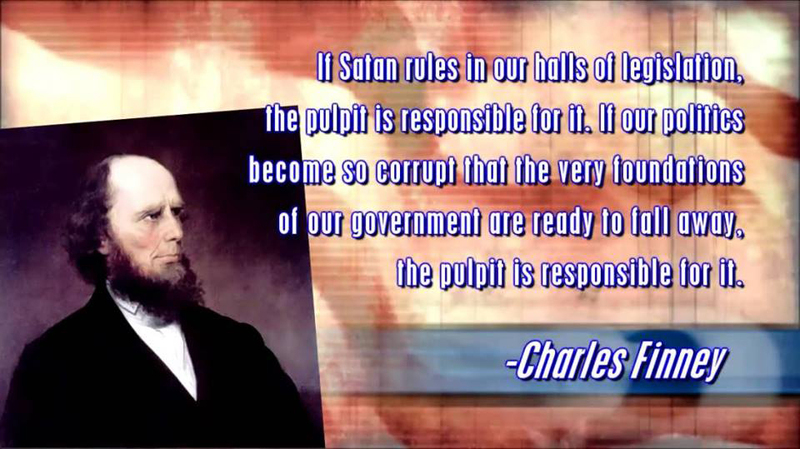 Charles Finney blamed the pulpit first! There should have been a verbal firewall and there wasn’t. We should have made the case for marriage and the unborn with greater force. We didn’t. Finally: What makes our silence even more embarrassing is that many preachers refuse to preach the truth their people want to hear. Audiences are ready to listen to common sense preaching. We must seize the moment. Jesus said I John 9:4 I must work the works of Him who sent Me while it is day; the night is coming when no one can work. You should never speak out on certain controversial issue unless the Spirit of God compels you but you are asking too much when you say that God has not moved your heart to speak out about our government’s overreach and persecution of Christians. Oh and by the way, the IRS does not want to enforce the 501C3 Johnson amendment on Churches because they know it will lose in the Supreme Court. SPEAK OUT! TORONTO – A co-founder of Black Lives Matter Toronto argued that white people are “recessive genetic defects” and purportedly mused about how the race could be “wiped out,” according to a post on what appears to be her Facebook page. Yusra Khogali has faced increased scrutiny over the past year after BLM Toronto gained political influence following their disruption of the Toronto Pride parade and confrontations with Ontario Premier Kathleen Wynne. On Friday, Toronto Police announced they would not participate in this year’s upcoming parade. This has been a longstanding demand of BLM TO and one that the board of Pride Toronto recently backed in a controversial vote. Khogali has a track record of inflammatory, divisive rhetoric. Only last week during a protest in front of the US consulate Khogali shouted into a microphone that “Justin Trudeau is a white supremacist terrorist” and urged the crowd to “rise up and fight back.” “Look at us, we have the numbers,” she said. Khogali did not respond to requests for comment from the Sun. But if she did in fact write the post, her thesis doesn’t pass muster for one of America’s leading scholars of the history of eugenics. “The document mirrors the racism of American eugenicists who claimed in the first third of the 20th century that native whites were genetically superior not only to blacks but also to immigrants from Eastern and Southern Europe,” Daniel Kevles, a professor at Yale University, wrote to the Sun. THE ANSWER TO FEAR: BURN IT OUT! Closing the altars, ordering people to tone it down, and focusing on recovery programs brought a crowd. However, what if that crowd leaves with no power to face our toxic culture? The problem is, with all the anger, division, loud perversion and persecution, teachers find their instructive messages woefully inadequate. What happened? The answer is…life. Life happened and it is gripping believers with fear. This is a new kind of fear coming from the screaming villains, who now have an out-sized influence. Happy face sermons do not give power over a time like this. What is happening now runs off the over-optimistic maps drawn in pulpits. Tragedies can uproot neat formulas like a palm tree in a hurricane. Hip theories will collapse like a brick house in an earthquake. 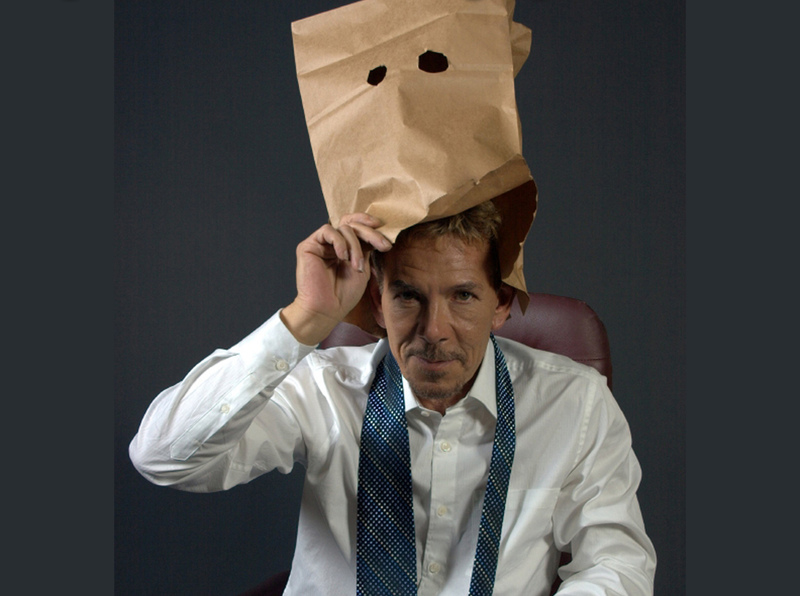 Leaders have brought a lot of this on themselves. The culture changed dramatically in the last few months. The American pulpit has not. Closing the altars, ordering people to tone it down, and focusing on recovery programs indeed brought in a crowd. However, what is the end game if the crowd leaves as weak as they came—and in some cases weaker—without power to face our culture? We won’t forget how you bloodied people because of the shirt or hat they wore. We won’t forget how you burned and looted. We won’t forget how you torched freedom of speech. Schumer, Pelosi, and you gaggle of Dem leaders who remain silent in the face of anarchy—do you honestly think we will forget? We will remember your tacit approval of these riots. We aren’t fooled by your support for open borders. It’s not about equality…it’s about staying in power. How can we forget that? You hapless Hollywood haranguers who spewed murderous venom—comparing Trump to Hitler, and for calling not only for his death, but for the death of his entire family—will not be forgotten. You nattering nabobs of journalism will live in infamy. CNN, MSNBC, The Washington Post and The New York Times…you have sold your souls to override the will of the people. Thanks to the internet, social media, and yes, bloggers, you will be fact checked into irrelevance. How rich! You complain that Russia hacked the election…while you were the hack of the century for Hillary. We will never forget how you are still trying to manipulate reality. “America is not on the brink of civil war. Trump is not Adolph Hitler or Benito Mussolini. Nor is the so-called “resistance” really a resistance. It’s a political movement. It’s certainly no French Resistance, which arose after the Nazis invaded and then occupied France in 1940. The French resistance movement started slow but picked up steam as the German regime revealed itself to be a murderous, plundering, racist group of thugs. By 1944, the resistance became a full-fledged army, capable of going behind enemy lines, cutting off telephone lines, blowing up train tracks and otherwise causing mayhem. The Democratic resistance movement isn’t capable of stopping Trump’s efforts to appoint his own Cabinet officials because Sen. Harry Reid (D-Nev.) helpfully changed Senate rules right before he retired. Nor will Democrats be able to stop Trump from appointing his highly-qualified pick to the Supreme Court. They aren’t much of resistance movement because Trump is not a Nazi and because the United States is not Germany in the 1930s. An imperfect understanding of history is every bit as harmful as complete ignorance of history. The Democrats, and more than a few Never Trump Republicans, imagine themselves to be brave, solitary figures standing against the rise of a brutal dictator. We not only have plenty of institutional checks and balances arrayed against any potential dictator. We also are, as a people, a nation that takes its liberties pretty seriously. We are not the Weimar Republic. We don’t have inflation hitting 300 percent. Unemployment is not at 30 percent but at 4.8 percent. We will not forget how thugs, thieves and liars tried to pawn themselves off as guardians of liberty. We are only two years away from having to remember. We will not loot, lie, or burn… we will vote. We will enter the booth with vivid images of both your lawless behavior and the politicians who sided with you. We will not forget the soldiers who died to give us the freedom of speech that you are so wholeheartedly abusing. We will not forget the unborn whose rights—in the name of rights—you have so blatantly disregarded. Most of all, we will not forget that we are one nation under God. 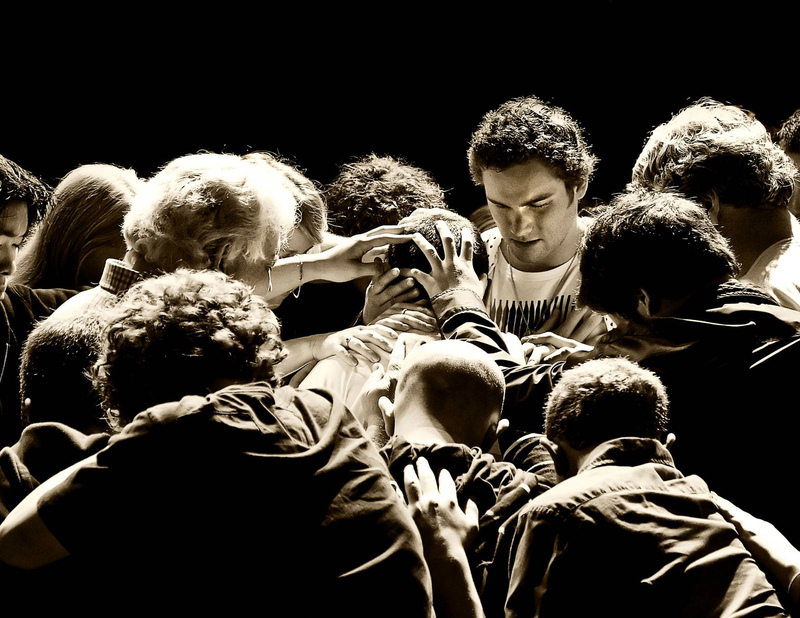 We will never forget the holy advantage prayer has been in every national crisis. We will never forget the Bible—the sacred scriptures that formed the character that made us great. Lastly, we won’t forget the power of forgiveness. Many young hearts, because of peer pressure, are being swept up in a frenzy of deceit. We know Christ has the power to open their eyes and give them new life. We will never forget compassion and the Good News!